Amongst all the premium-priced, high-performance projectors available in the WUXGA resolution category, there is something to be said for a projector that gets it done at a discount. 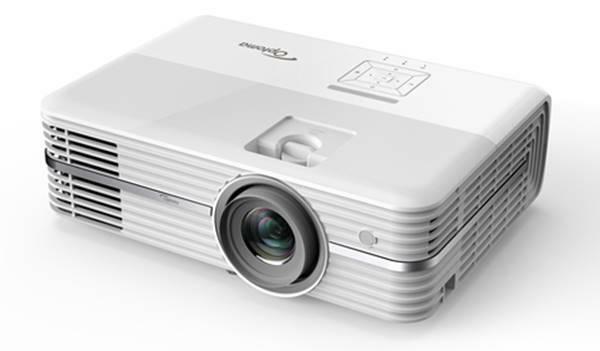 The Mitsubishi UD8350U is a rock-solid performer for data presentation, but what makes the projector special is its suite of economy options, which combine to make the UD8350U the least expensive WUXGA projector to own and operate of the four projectors in our WUXGA Conference Room Projector Shootout. Features like lamp relay, continuous operation, and a self-cleaning permanent air filter all make the UD8350U the best option available for those looking for a budget-friendly, eco-friendly projector. Excellent data performance. While the UD8350U isn't a video powerhouse the way some of its competitors are, it does a bang-up job when it comes to data projection. Content like spreadsheets, PowerPoint slides, and just plain text is crisp, clear, and screaming bright -- exactly what's needed for a large audience. Lamp Relay mode. Three of the projectors in our test group have a single-lamp mode, but only the UD8350U has Lamp Relay. Lamp Relay automatically switches between the projector's two lamps on a pre-set schedule. Why would you want to do this? For one, it allows your lamps to cool off regularly, thereby extending their lifespan. Two, it causes the two lamps' output to degrade together, so one lamp is not significantly brighter than the other later in the projector's life cycle. If you actually want to "save" one lamp and run the other, there is the traditional single-lamp mode as well. What's more, if you're running with both lamps active, the projector will occasionally (on the order of one hour per week) turn off one of the lamps and allow it to cool. This extends lamp life in constant-on 24/7 applications and saves you money in the long run. Permanent filter. The UD8350U's air filter is permanent and self-cleaning. At scheduled intervals, the filter is rotated through a cleaning cycle that removes the dust from the filter's surface and deposits it in a receptacle. Every once in a while, you have to shake out the receptacle, but you'll never have to replace the filter itself. Long life lamps. Super-bright projector lamps typically last 3,000 hours or less due to the demands placed upon them. That number goes down if you run a projector 24/7. The UD8350U's lamps are rated to last 4,000 hours in Eco mode, longer than any of its competitors by at least 500 hours. Over time, this may add up to fewer lamp replacements, and at $549 per lamp those replacements are not trivial. Very low price. 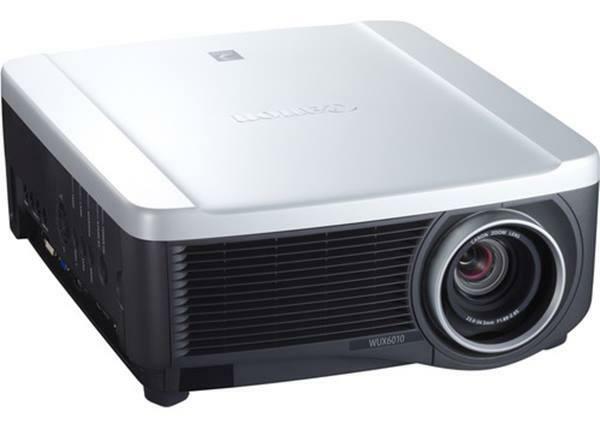 The Mitsubishi UD8350U is the least expensive projector of the four in our shootout at $11,995. This price includes a lens. That makes it, at minimum, $5,000 dollars less than the NEC PX750U and Panasonic PT-DZ770UK, the latter of which also does not include a lens. And after factoring in the cost of a lens, it costs about half as much as the Epson Pro Z8455. Light output. In its brightest mode, Presentation, the UD8350U cranks out 6249 out of a specified 6500 lumens. Presentation mode has a heavy green bias, but is a good option for text and non-color-critical data. Standard mode, at 3943, has less of a green bias but still comes up short on blue, so it's best for the same kind of content as Presentation only at a lower light output. Theater mode has a more accurate white balance at 3601 lumens (3275 after calibration) and is the mode to use whenever your display content requires color accuracy. However, while Presentation mode's 6249 lumens are completely attainable on a white test pattern, more nuanced content can look much different. Of the three DLP projectors in our test group, the UD8350U has the weakest color saturation. As a result, color-heavy content like graphics, photographs, or video suffer from an unbalanced picture where white highlights are quite bright while highly-saturated portions of the image look dull and washed-out. This is less of an issue in Theater mode than it is in Presentation mode, but the UD8350U still has appreciably weaker color saturation than its three competitors. Eco mode reduces output by 25% and can be used in any lamp mode. Eco mode also increases lamp life to 4,000 hours, as mentioned above. The other way to reduce light output, should you need to do so, is to shut off one of the lamps, thereby decreasing output by 50% in any mode. Contrast. The UD8350U doesn't have any tricks up its sleeve to boost contrast -- there's no auto iris and no contrast filter. As a result, what you get is the projector's native contrast, and on a projector this bright, native contrast is never going to be very good. In ambient light, contrast doesn't matter as much, as the projector's black level is going to be compromised by the room lighting, so this is only really a concern when the lights are down. That said, the UD8350U does a solid job of maintaining shadow detail, though BrilliantColor can make highlights appear out-of-balance with the rest of the image. Color. While several of the UD8350U's preset modes need some white balance adjustments, Mitsubishi makes this easy with a comprehensive color calibration system. Using this system, it is easy to bring both Presentation and Theater into a nice, smooth, 6500K grayscale. Our adjustments and the graphs they create are below. Sharpness and clarity. Data and graphics on the UD8350U are reproduced with razor-sharp precision in every edge and line. The UD8350U also has a detail enhancement feature that keeps photos and video looking sharp. BrilliantColor. The UD8350U's color wheel has a substantial white segment in it, and BrilliantColor tends to push highlights to impossibly-bright territory, which makes the whole image appear out of balance. An out-of-balance image does more than just boost highlights, though. It makes colors appear washed-out and dull due to the way humans perceive and interpret color. Even if the projector's color is objectively quite good, as it is on the UD8350U, putting that good color next to a screaming-bright highlight makes it appear dull. The unfortunate thing here is that BrilliantColor cannot be disabled in any of the projector's factory presets. To turn it off, you need to use the User setting. Disabling BrilliantColor also cuts light output by up to 75%, so there is a big price to pay for having a more balanced picture. Mitsubishi does sell an optional six-segment RGBCMY color wheel for $589. Unfortunately, we did not get a chance to test this color wheel during the Shootout, but it is an option that may provide higher color saturation and better image balance. A similar optional color wheel on the NEC PX750U is very effective at boosting color saturation. Rainbow effect. With a 5-segment color wheel (RGBWY) refreshing at 2x speed, rainbows are something of a foregone conclusion. The result is a relatively high occurrence of color separation artifacts, so much so that it was easy to tell the difference between the UD8350U and its two DLP competitors just by counting rainbows. This makes the UD8350U a difficult projector to recommend for video and film use if the audience is sitting relatively close to the screen with a wide viewing angle. In this situation, DLP rainbow artifacts on this projector can be a problem for many viewers. On the other hand, if viewers are sitting at a distance of about 2.5 times the screen width or more, rainbow artifacts become less problematic since the viewing angle is reduced along with the associated eye movement that causes rainbows to appear in the first place. Meanwhile, regardless of viewing distance, while some people still see rainbows in static data images, they tend to be less prevalent and less distracting when they do occur. So for data presentation, photography, graphics and other still imagery, the rainbow issue is of much less consequence. When you need WUXGA performance on a budget, the Mitsubishi UD8350U is an excellent choice. It gives you high light output, a great suite of eco-friendly features, low ongoing maintenance costs, and a friendly price tag, making it a very cost-effective alternative. While rainbow effects may limit its usefulness for video, it's hard to beat this combination of price and performance when it comes to data, graphics, and photography. And if constant-on 24/7 operation is something you're interested in, no other projector comes close.